A Great Birthday Party Place! Vernon Hills, Illinois Kids Development. Play. As an adult, you probably don’t hear that word much, unless you actually attend the theater. While being an adult has its perks too — hello, opportunities — being a kid is something that happens once in a lifetime and is a very special time that should be cherished. You may remember the long days of summer without going to school and riding your bike around the neighborhood with your friends. You probably reminisce about the many first experiences when you were little such as the first time you figured out how to cook a meal by yourself or when your parents finally let you stay home alone. What about the time you finally made a few bucks and could go down to the corner store to buy your favorite treats? While being an adult is great, and a parent even better, you probably forget what it’s like to be a child. Childhood is about having fun, learning, and growing. At our kids gym, your child will be able to have fun while getting healthy, learning, and growing as an individual. In such a world that’s focused on testing and getting into college, sometimes your kid needs to have a little fun and just be a kid. Learn more about our variety of programs at our kids gym by contacting us. When you let your kid play and just have fun, they’ll not only benefit because it’s enjoyable, but they’ll also get cognitive benefits as well as physical ones. Play is impactful because it allows your child to develop creativity, thinking, and communication skills. It can be difficult being a child in this day in age, especially with the easy access to technology, so take the opportunity to give them a gift that should be cherished: childhood. By enrolling your child in our kids gym, your child will have the opportunity to get healthier and have fun while taking in each of the advantages that playtime offers. As a kid, you may have played imaginary games, with dolls, or even action figures. Do you remember the games you used to play and how you created a world you loved? When you let your child play, you’re letting them be themselves and learn who they are as an individual. In school, they have to sit there for eight hours a day and learn. After school, there’s homework and more sitting. By coming to our kids gym, your child will be able to be around other kids who just want to be themselves and enjoy some freedom. Communication is key. From arguments to get your opinion across to writing emails at work, it’s important that you learn to communicate to the best of your abilities. At our kids gym in Vernon Hills, one of the pillars that we focus on is communication. Our Junior Boots™ course works on developing the body and mind for your child. This means working on communication. By working as a team, each of the members needs to effectively communicate to ensure there is collaboration and support. Another benefit to playtime is sorting out conflict. As you know, conflicts arise all of the time in life. Whether you dislike that person at work or you can’t quite get along with your mother-in-law, sorting out conflicts is a great skill that should be worked out as a youngster. Sometimes, you don’t want to share the attention or that special toy. Sometimes, you don’t want to play nice with another person, but you have to because that’s life. If your child learns how to sort out conflicts early, they’ll be able to communicate and develop critical thinking skills much earlier. 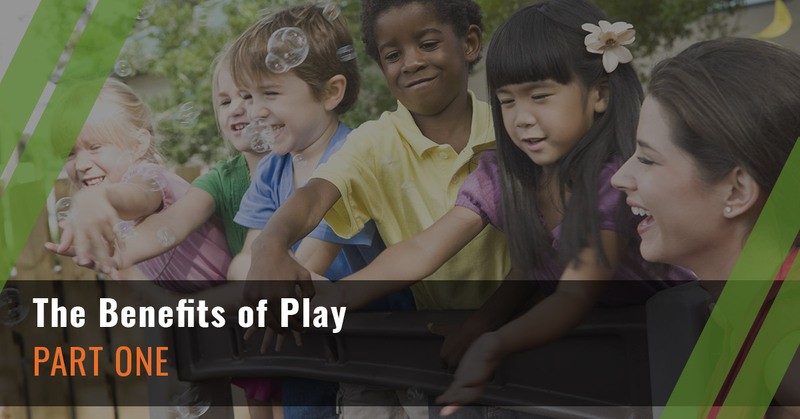 Stay tuned for Part Two of our blog to learn more benefits of how playtime can benefit your child. Take on obstacles you have never seen before, challenge your mind, and push yourself to your limit by racing through a course packed with fun. Who will be the best? Make your party a competition or work together to get through obstacles, either way it is a test of your abilities! Our skilled instructors and creative design will keep all your guests engaged in your party, and they’ll be sure to remember it for years to come. These are not a regular camps, our Camps activities help today's generation reconnect with the outdoors and become more responsible, self-confident and self-reliant. It is a blend of growth with adventure and fun. Junior Boots™ is more than just an after-school activity. Hot Ground Gym® has designed Junior Boots™ to be a comprehensive fitness and education program that implements five pillars. Obstacle Course Fitness, Leadership, Critical thinking, Teamwork, and Discipline. ©2017 Marketing 360® All rights reserved. Do not copy.